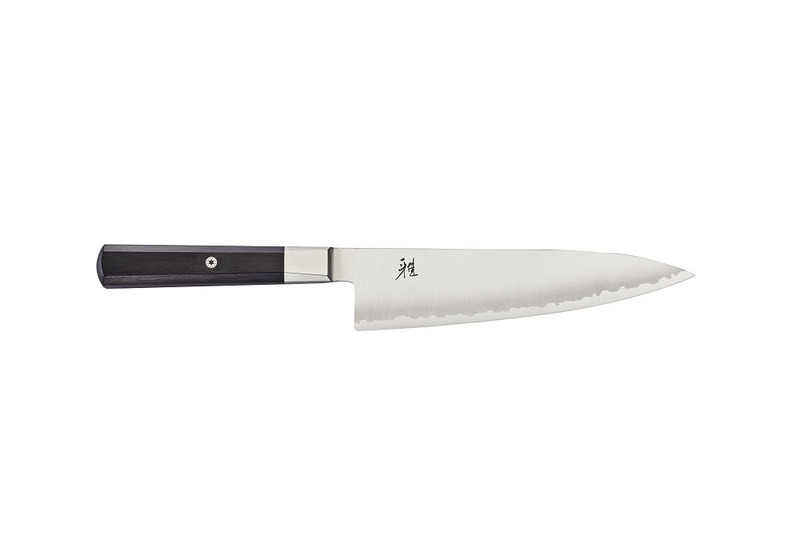 The new KOH series is MIYABI's new series, accessible to those new to Japanese cutlery. The KOH series offers a strikingly modern appearance with a black pakka-wood handle and a sharp design. Features a FC61 super steel blade accented by an engraved MIYABI logo and a comfortable octagonal handle design accented with a stylish mosaic pin. Handcrafted in Seki, Japan. Slim octagonal shape handle made of natural single-tone pakka wood, elegantly enhanced with a mosaic pin.